Archaeology or thievery? For nearly two hundred years the Elgin Marbles have inspired just that question -- one which is provocatively unanswered today. The Elgin Marbles, a collection of marble adornments from the Parthenon in Athens, were collected by Lord Elgin between 1801 and 1805. Thomas Bruce, known as Lord Elgin, an impoverished British noble, took a post as ambassador to the Ottoman Empire in 1799. Like many of his era, Lord Elgin was an admirer of the classics, and he ventured to Athens, then part of the Ottoman Empire, to see the works of the ancient Athenian artists. In the absence of photography which had not yet been invented, Lord Elgin did what most European classics enthusiasts did at the time: he hired artists to sketch and paint the ruins so that he could take home the images. He also hired workers to make plaster castings of many of the marbles from the Parthenon so that artists in London might study them without venturing to Athens. After intervening with the British Parliament on behalf of the Ottoman Empire, Lord Elgin was also awarded a letter of instruction which allowed him to “take away any pieces of stones with inscriptions or figures.” This he did liberally -- loading up warehouses and ships with the friezes and figures from the Parthenon. Now, that is not to say that the Parthenon as Elgin found it was whole and untouched. Far from it. Athens’ temple had been Christianized in the 5th century A.D. And during the 17th century it was used to house explosives -- some of which exploded causing the building’s roof and part of the colonnade to crumble. Besides, Elgin was not the first nor the last to remove pieces of the Parthenon away to museums and private collections. 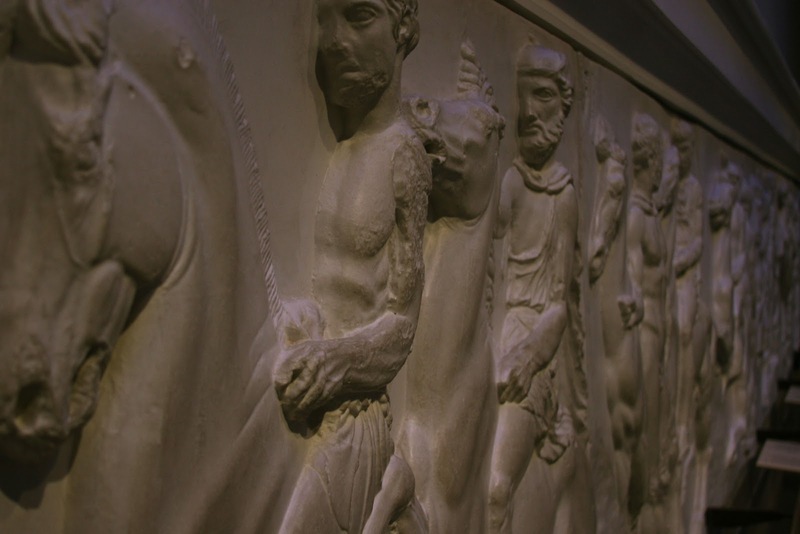 The great works of the Parthenon are now housed in several museums all over the world. Lord Elgin, deep in financial woes, sold his collection of Parthenon marbles to the British Government upon his return to London in 1816. They have been part of the British Museum’s collection since then. So, in Lord Elgin’s view, he was acting as a preservationist and removing artifacts to which he had been given free access. He made a tremendous contribution to the British Museum -- a contribution which reignited the British fever for the classics and inspired generations of archaeologists, classicists, and scholars. However, that’s not how Athens sees it. Who will love it? 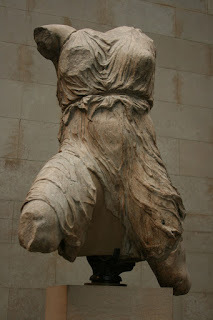 : children, teens, adults... there’s something for everyone at the British Museum. 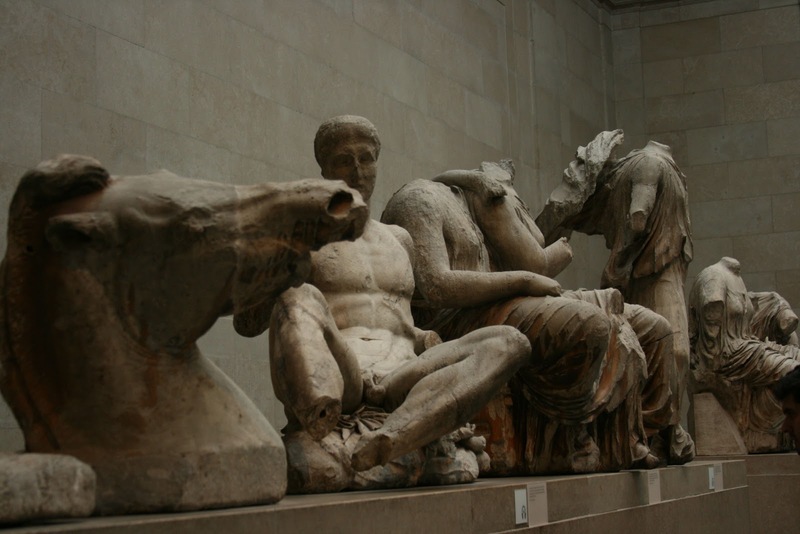 The story of the Elgin Marbles offers a great chance to discuss the ethics of collecting and archaeology with teens and children, too. And the museum is almost completely accessible for those with mobility issues, too. Notes: forgo high tea at The Ritz in favor of high tea at the museum. Served from 3 pm - 5:30 pm in the Court Restaurant, the museum’s tea service is elegant and makes for a delicious break in a day of art and culture. In 2009 Athens debuted The Acropolis Museum which was designed to hold all of the marbles from the Acropolis including the Elgin Marbles which Athens sees as a reason to bring them “home.” The British Museum disagrees. And a stalemate continues. 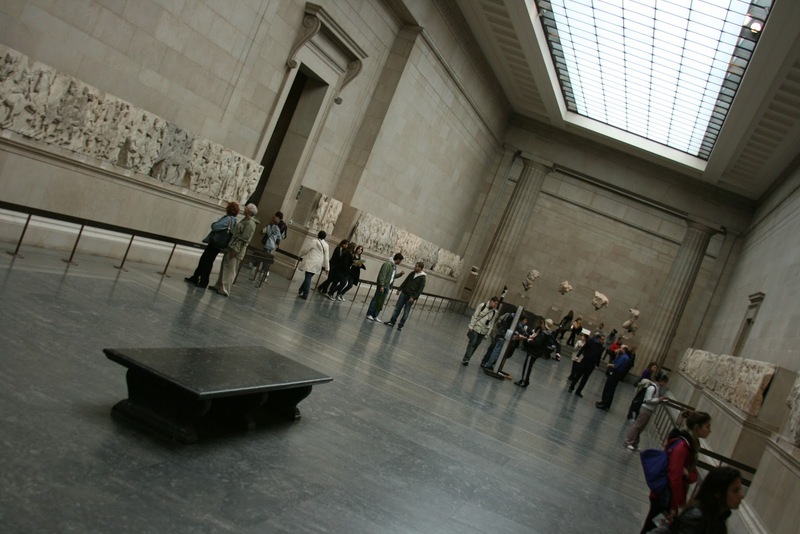 Of course the questions are far larger than just what happens to the Elgin Marbles. After all, in the center of the British Museum’s soaring new atrium stand several totem poles from the Pacific Northwest... and what about the entire Egyptian collection? Or the collections of other museums around the world? Egypt, for example, is making demands of several museums asking for ancient artifact to be returned. Those are questions for another day... suffice it to say that the Elgin Marbles are just a fraction of the British Museum’s collection. Indeed, the museum holds more incredible artifacts from ancient Greece, Rome, and Egypt in addition to their collections from Asia, the Middle East, North and South America, and Africa. A visit to the British Museum makes your trip to London a voyage out into the world as well. Stealing Athena: A Novel by Karen Essex: a fictionalized account of Lord and Lady Elgin’s years in Athens and Constantinople. A great read! great article - LOVELY photos. i was amazed, when i visited, how powerful it all was. thanks! 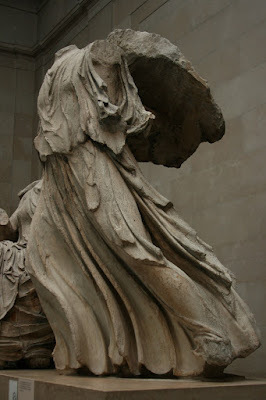 The British Museum doesn't have all of the Parthenon Marbles. 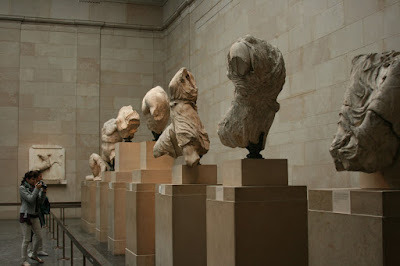 A significant number remain in Athens and are on display at the Parthenon Museum. There are also others spread around five different museums in Europe. I believe the Parthenon Marbles belong to the world, not Greece, and it's good to have them on display in different places, not just in one location. While I have sympathy for the Greek position and I understand that Elgin's actions were of questionable morals, the world should be glad he acted as he did. The Parthenon Marbles would no longer exist at all if they had been left where they were. @Caitlin: thanks for your thoughtful comments!